STAND OUT FROM THE CROWD - Tired of the box-colored VR Kits? Be bold. Be different. Nothing says true VR enthusiast like the Jet Black version. With its full black finishing, it's already an instant classic. 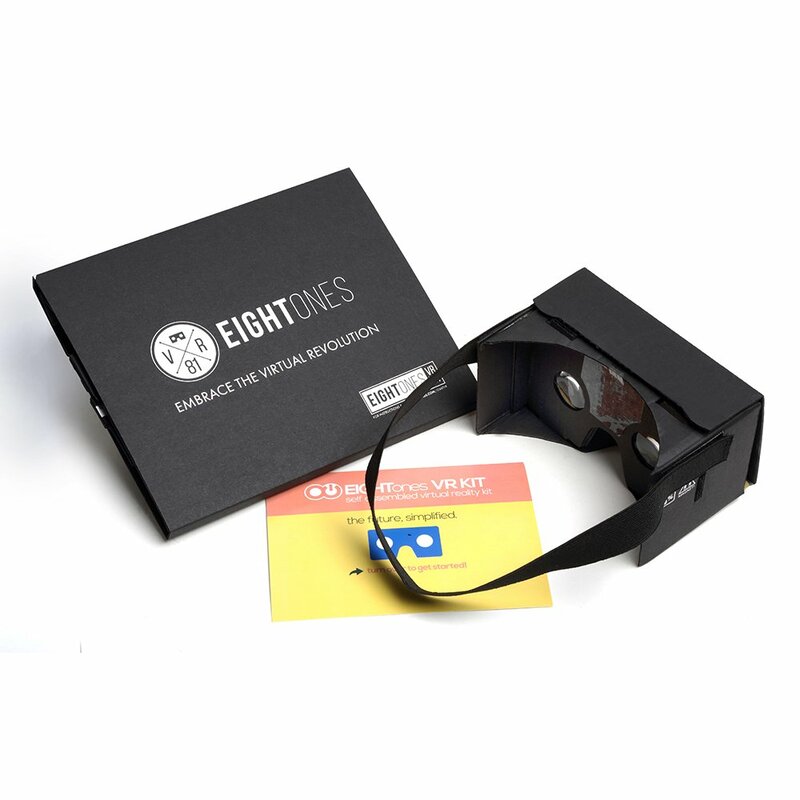 EASY & GUIDED SETUP - With both video & printed instructions and numbered tabs plus recommended apps from our VR Hub specially for EightOnes users, you will enter virtual reality in less than 2 minutes! PREMIUM MANUFACTURING AND MATERIALS - Machine cut to exact Google Cardboard specifications with premium quality cardboard and 45mm focal length lenses for durability sets us apart from the competition and cheaper alternatives.